MacKenzie Commercial Real Estate Services, LLC is proud to announce the addition of John Gallagher to the MacKenzie team in our Annapolis office as a Real Estate Advisor. Having recently completed MacKenzie’s intern program, John is a licensed real estate agent in the State of Maryland and will be working alongside industry leaders Trish Farrell, Justin Mullen, Ginny Vernick, and David McClatchy, assisting with landlord and tenant advisory services. In his role as a Real Estate Advisor, John will assist the brokers with day-to-day leasing operations for properties currently represented by MacKenzie in the Baltimore Washington Corridor and surrounding counties. His responsibilities include generating new tenant leads, coordination of marketing and creative materials, database management, and overall business development initiatives. 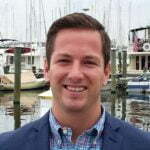 An Annapolis resident, John is a graduate of Towson University and holds a Bachelor’s Degree in Business Administration. While at Towson, he was a member of the men’s lacrosse team. Prior to joining MacKenzie, he worked as a Leasing Consultant for AvalonBay Communities. “John will play a critical role in assisting our Annapolis office with our growing assignments and the generation of new prospects. We welcome his enthusiasm, creativity, and drive to the team,” stated Vice President Trish Farrell. John can be reached at 410-953-0356 or jgallagher@mackenziecommercial.com. For more information on MacKenzie Commercial Real Estate Services, LLC, please visit www.mackenziecommercial.com.